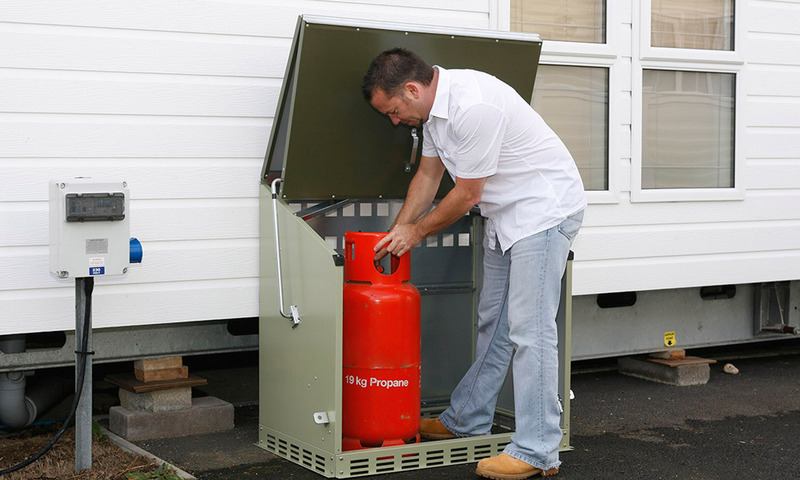 Secure and compact storage for two LPG cylinders up to 19kg featuring removable lower front panel. H 39" x W 30" x D 19"
Storage for two LPG cylinders up to 19kg featuring an up and over door action for easy bottle access. H 39.5" x W 43" x D 26"
Secure storage for two 47kg LPG cylinders featuring removable lower front panel for easy access. 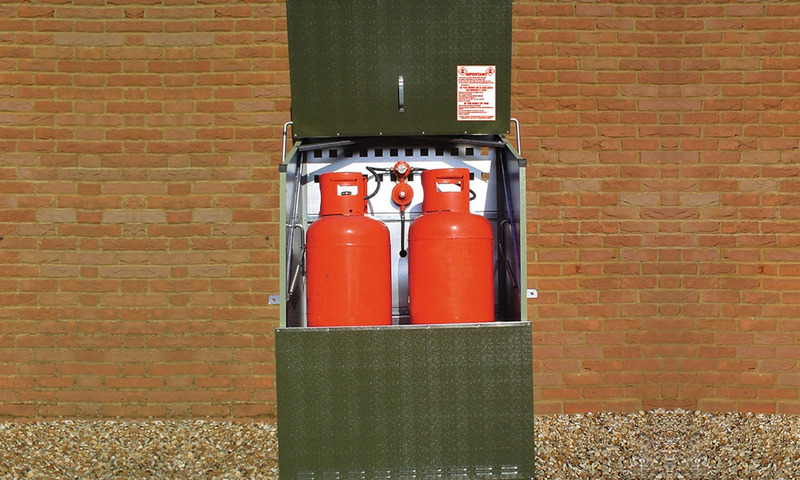 H 62" x W 44" x D 27"
Secure storage for four 47kg LPG cylinders featuring removable lower front panel. 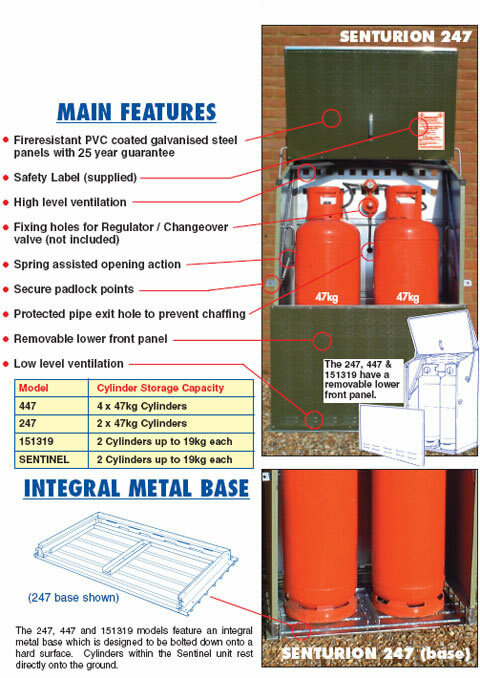 H 62" x W 77" x D 27"
The Trimetals range of LPG cylinder storage units has been designed and manufactured in the UK to meet the current Codes of Practice as specified by the LP Gas Association (which adopts the recommendations of BSI, CEN and ISO) and conforms to the British Standards associated with these Codes of Practice. All models offer full access to cylinders allowing easy bottle change over - the lower front panel shown in the product images removes completely. They come complete with step by step assembly instructions, siting information and the required safety labels to affix to the exterior of the product. 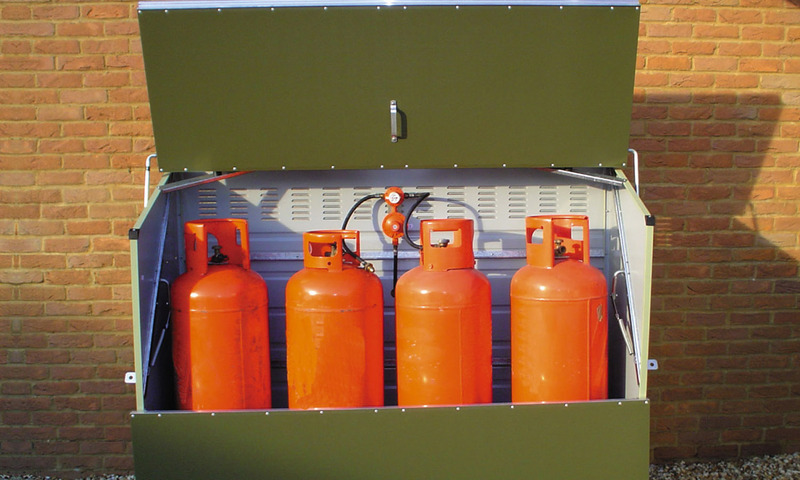 Senturion gas cylinder stores are fire-resistant and conform to both Class 0 (in accordance with BS476: Part 6 and 7) and Class 1 fire ratings. These cylinder stores are totally maintenance-free and manufactured from a special pvc coated galvanised steel which is guaranteed against corrosion for 25 years (even in coastal locations). Senturion stores feature both high and low level ventilation and are supplied with detailed technical information such as location advice and a written declaration stating that they conform to British Standards / Codes of Practice - this information can be shown to Fire Officers or Gas Appliance installers to confirm they are suitable for use. 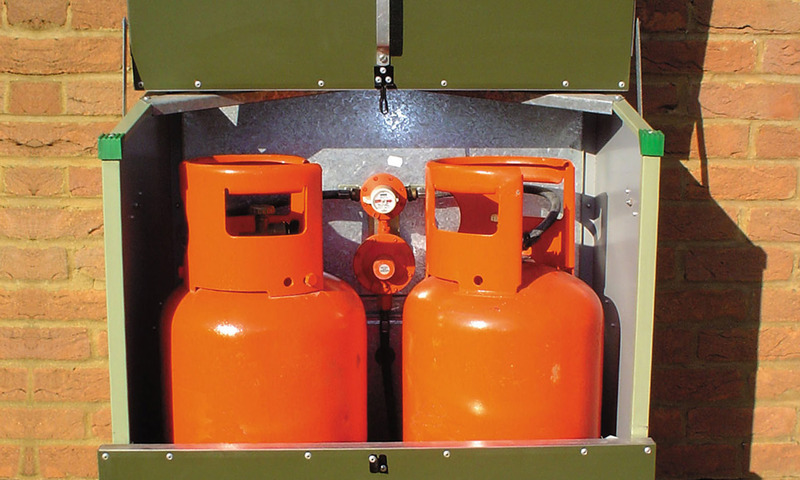 LP Gas Association Code of Practice 24 - Part 1: 1998 - Use of Propane in Cylinders at Residential Premises. LP Gas Association Code of Practice 7: 2004 - Storage of Full and Empty LPG Cylinders. 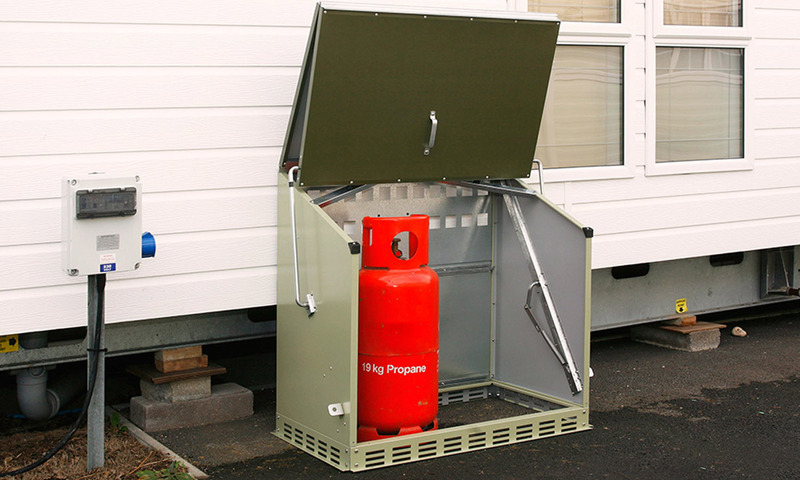 IMPORTANT: Our bottled gas cylinder storage units are not to be used within a building - they are intended for exterior use only.